We’ve all experienced WiFi frustrations – whether poor connections caused by congestion in a crowded airport or convention center or unavailable WiFi due to a lack of spectrum. Yet in today’s world, where we’ve become so accustomed to continuous and on-demand connectivity, the pain point is even higher when it happens. If we’re stuck somewhere, we want the ability to be productive and stay in touch – and further, we don’t want to pay outrageous sums of money to do so. That is exactly the problem that we want to solve with TextNow MiFi. We want to make it possible – and affordable – for consumers to easily create their own mobile wireless hotspot for on-demand and on-the-go texting and calling – from wherever you are. We believe that mobile hotspots are the wireless sweet spot – with their ability to deliver continuous connectivity from anywhere and at the most affordable cost. And this reliable connectivity is available today without a costly cell phone plan – or signing your life away on a years-long contract. Enflick already delivers free phone service over WiFi to more than 18 million users in the U.S. and Canada through our leading texting application TextNow. In our latest venture, we partnered with Sprint – using the Novatel Wireless MiFi technology platform – to deliver wireless broadband connectivity from any location – without the need for WiFi. The result is TextNow MiFi, a ready-to-go, pocket-size device that works with any platform supporting WiFi – delivering universal wireless connectivity at a budget-friendly price. The device itself is available for a one-time fee of $39.99 and service is as low as $15 a month. In addition, the product comes with a free upgrade to our TextNow app – with all of the enhancements, including call forwarding, no ads and 200 free minutes of calling a month. Another unique feature of TextNow MiFi is that it lets users enable other mobile devices to deliver phone services. For example, with TextNow MiFi, you can give an iPod or iPad the same phone capabilities of an iPhone. For parents with kids, this can be a huge cost-saver. Families, in particular, are paying astronomical monthly amounts for cell phone connectivity. 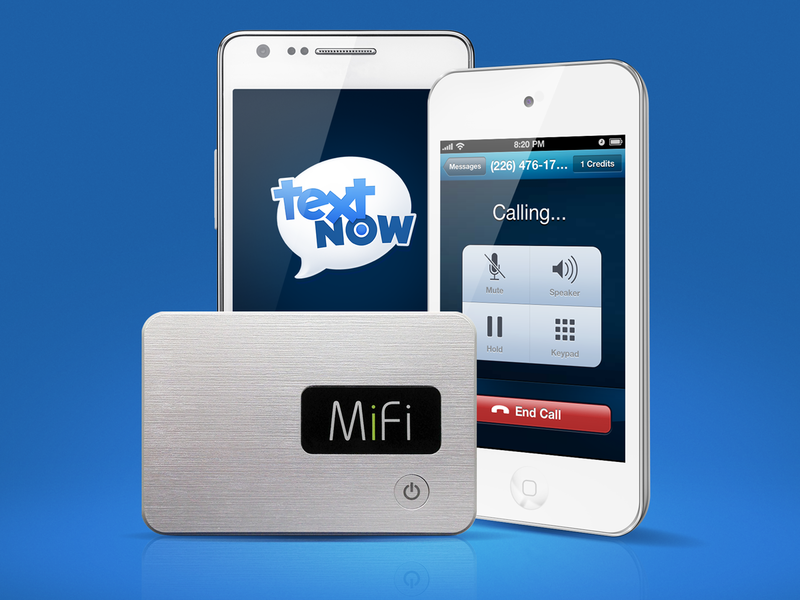 TextNow MiFi gives them an affordable alternative – that’s still hip.